The Dysfunkshinul Legacy | Perfection was never an option. Hi, friends! 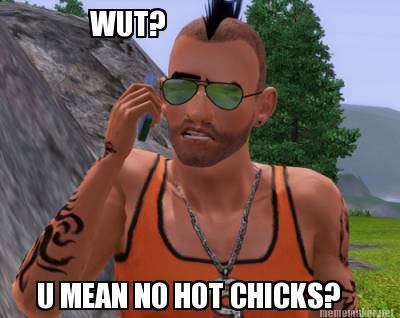 This is a Sims 3 Legacy blog. You probably knew that because it’s plastered all over the header and stuff you are an exceptionally bright person. This is where I document my complete ineptitude as a simmer for the whole world to see. Watch as I blunder through ten generations of gameplay and attempt to turn the debris into passably funny blog posts. I’m trying my best to follow the rules, but stuff happens. I know all about that, seeing as I’ve failed this challenge eight times before. Click “The Story” for quick access to the funnies. The other tabs up there are for decoration, obviously. You probably should not read this if you are a young child. Elsewise, you’re good to go. So go, I say! Away with ye! I nominated you and your blog for an award! Hi there! I’m back with another award to smack you with! 😀 The Sunshine Blogger Award! You have been thrice nominated for the Sunshine Award! So, how do I like this blog? Is there a button someplace? I have just binge-read the whole thing (well, over the course of several days), and it is soooooooo funny! I think my all-time most favoritist part is where Gumby became a coward. ZOMG! I likewise have pronounced you Liebstered! No need to answer my questions, but a thanks would be nice. Well, I’m about to join one of the masses, but I’ve nominated you for the Memory Lane Challenge! Hallo! I’m giving you this award because you deserve it! It’s the unique blogger award!